They are among the most respected and the most expensive doctors in the world. Whole lives and fates pass through their deft hands. Ketan Tanna and Abantika Ghosh on the places where medicine becomes art. The difference between God and a doctor is that nobody wants an appointment with God. The desperate demand for good doctors has always ensured that they are among the most powerful people in a society. The most talented among them, the inimitable artistes of surgery, have politicians, business tycoons and film stars at their mercy. In this list of Indian super doctors, we do not claim that we have covered every deserving name. The idea is to give a peep into the mystical world of these medicine men and discover their arcane views about life. It’s nine in the evening. On the fourth floor of the White Hall building in South Mumbai, around 25 people await their turn. Somewhere inside, 60-yearold heart surgeon Dr Sudhansu Bhattacharyya, his little white beard giving him a quiet elegance, peers through scanned X-rays and medical papers. “The most glamorous branch of medicine,” says Bhattacharyya about the occupation of heart surgeons. A heart operation by this doctor costs Rs 3 lakh on the lower side, which he graciously confirms. The higher side he would not like to reveal. “I charge depending on the economic capability of the person. For me, asking for what I deserve is a necessity.” Till a few years ago, he conducted up to six operations a day. Now, he does not go above three. For two years in the 90s, he was the highest tax paying doctor in India for which he was awarded a certificate by the government— a more pleasing treatment than an income tax survey that was unleashed earlier. “They did not find anything,” says Bhattacharya. All his fees are paid by cheque. His client list includes former Maharashtra governor Dr P C Alexander, film producer Rakesh Roshan and renowned cardiac surgeon Dr B K Goyal. His doctor wife, a retired gynaecologist with KEM hospital, worked for free. “In my life, my wife is the 50% which does charity and I am the 50% which charges,” the doctor says. Less than 20 years ago, 41-year-old Dr S Natarajan used to earn Rs 4,200 in the Bombay Hospital. Now the eye surgeon owns a modern four-storeyed eye hospital in central Mumbai called Aditya Jyot that is estimated to be worth over Rs 15 crore. His monthly income is in the region of Rs 45 lakh. Former Maharashtra chief minister Sushil Kumar Shinde and state home minister R R Patil are among his patients. As the doctor hurries around giving final touches to a live eye surgery demonstration, using suture-less technology, his three assistants from different corners of the country say that they are privileged to work with the “best retina doctor in India”. A product of the famous Shankar Netralaya in Chennai, the doctor says that for him money is a tool to chart out different frontiers in the development of his skills. When he was a child, he lived in a threeroom apartment in Connaught Place, where his family took refuge after they were dislodged from Lahore during Partition. Now, he is the face of cardiac care in Delhi. The executive director of Escorts Heart Institute and Research Centre, Delhi, and one of the leading surgeons in India, Dr Naresh Trehan directly or indirectly presides over 350-odd surgeries performed in the institute every month. He gets a percentage of the fee in remuneration for the involvement. His financial worth is a matter of speculation among his peers. The 60-year-old doctor himself is reluctant to make public his charges. “I get a percentage from the package,” he says. (The bypass package at Escorts is worth Rs 2-2.5 lakh.) Colleagues say his share per bypass is between Rs 40,000 and Rs 60,000. He is not comfortable talking about money. “Let’s put it this way. I could have charged ten times the money I am charging right now. But I did not want my charges to be a barrier in making quality cardiac care available to all,” he says. Is he the most expensive cardiac surgeon around? “I can’t say but I can say this that I pay the highest taxes.” In the mid ’80s, he was making $1.5 million a year as a surgeon in the US. Does he regret coming back? The answer, from both financial and professional perspectives, is a big “No”. 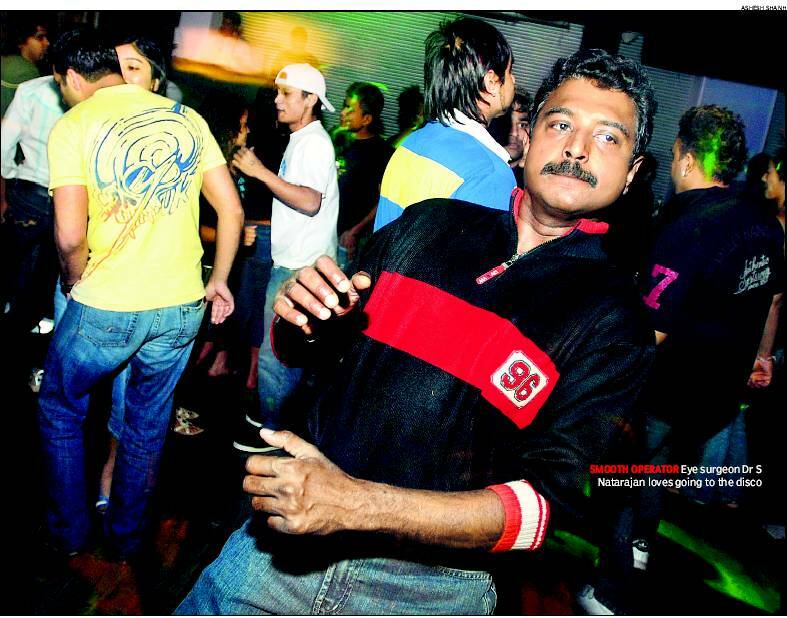 Though he puts in 12 hours a day at the hospital, most of them in the operation theatre, Trehan still manages to be seen at parties. That, he says, is the secret of his energy, along with limited alcohol intake. “I enjoy every moment of my life with family and friends. I go to parties. I exercise and practise yoga every morning,” he says. Patients come from north India, some for his professional acumen, and some, like Anil Sarin for unexpected reasons. “He was my senior by one year in Modern School,” says Sarin. At Rs 10-12,000 per operation and 12-13 operations that he is involved in every day, his remuneration at Fortis Hospital in Delhi is not entirely explained by maths and is the subject of whispers within the hospital fraternity. “It must run into crores and he is hardly there (in the country),” says a colleague about Dr Ashok Raj Gopal’s monthly income. The 54-yearold doctor does not deny it. “I travel all over the world doing surgeries. I have done extensive operations in Australia, Malaysia, Spain, China, France — you name it,” he says. 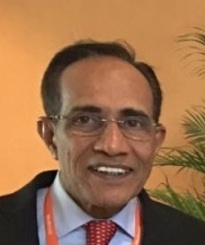 Sometime in the ’80s, during his formative years in a Delhi hospital, he actually paid the medical bills of the first 30 patients (“about Rs 4,000-5,000 per head”) who let him perform arthroscopy on them. Arthroscopy is a system of orthopaedic examination with a pencil-sized instrument. Now, there are patients who are willing to wait just to be operated by him. 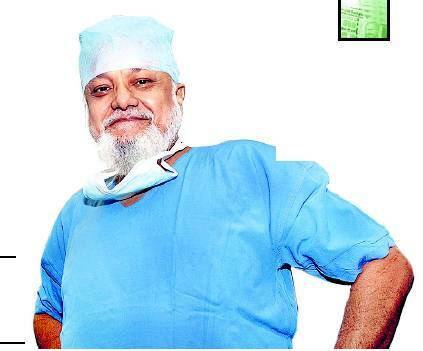 Theatre person Salima Raza, who underwent bilateral knee replacement says, “I will give him 11 out of 10.” As a surgeon who has treated at least two presidents of India — Dr A P J Abdul Kalam and K R Narayanan — Gopal is a high society figure. In Bangalore, patients wait long, sometimes more than 20 days, for an appointment with 58-year-old general surgeon and laparoscopy expert Dr M G Bhat. Though associated with the Manipal Hospital, he practises at Wockhardt. When not at the hospitals, Bhat runs his own clinic. He has worked in Bangalore for 20 years and is a wellknown surgeon. Dr Bhat says he has dedicated his life to the profession both academically and socially. He is also associated with St Philomena’s Hospital and Sri Satya Sai Whitefield General Hospital. I don’t consider myself any less than the best doctors in the US. I see no reason why I should not charge what I deserve.